November is the month for giving thanks, giving back to the community when we can and enjoying food and drink with friends and loved ones! 1. 30th Annual RSVVP Day: “RSVVP” stands for “Restaurants Sharing 10 Percent” (the Vs are Roman numerals). 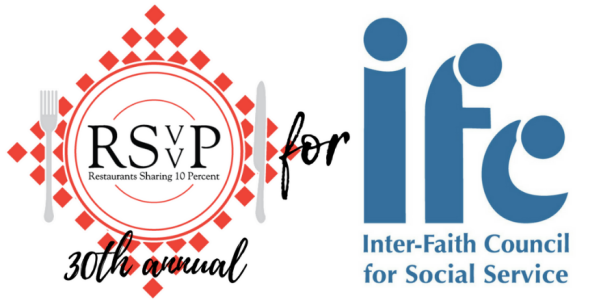 Participating restaurants contribute 10 percent of their total proceeds on RSVVP Day (from breakfast, lunch, dinner and in-between snacks) to benefit the IFC’s FoodFirst programs: Food Pantry and Community Kitchen. Last year’s RSVVP Day raised more than $20,000 for IFC hunger-relief programs, bringing the 28-year total to more than $520,000. This year’s goal is $25,000! Check out all the participating restaurants in Chapel Hill, Carrboro and Hillsborough. 2. Blue Door Breakfast: A Celebration of Youth is a celebration of the youth in Durham and Chapel Hill and all that they can accomplish. Enjoy a delicious breakfast with friends and family, meet Youth of the Month recipients, and hear from special guest speaker, Robbie Bach. All proceeds from the event go to support Boys & Girls Clubs of Durham and Orange County’s programming. These programs include After-School and Summer Camp activities for youth ages 6-18, helping them achieve academic success and develop life skills. Friday, November 16, 8-9:30 a.m.
3. The Great Gratitude Auction is the Unity Center of Peace’s 2018 Silent Auction, where you can bid on delightful items for yourself, your home or the special folks on your holiday gift list. The auction acts as a chance to celebrate all that we are grateful for and share our appreciation of friends and family, new and old. Delectable refreshments and good cheer will abound with beer and wine available at the cash bar. Saturday, November 17, 6-8 p.m.
4. Pre-Thanksgiving Markets support local farmers and provide a healthy alternative to your Thanksgiving meal. The following markets are open this month! 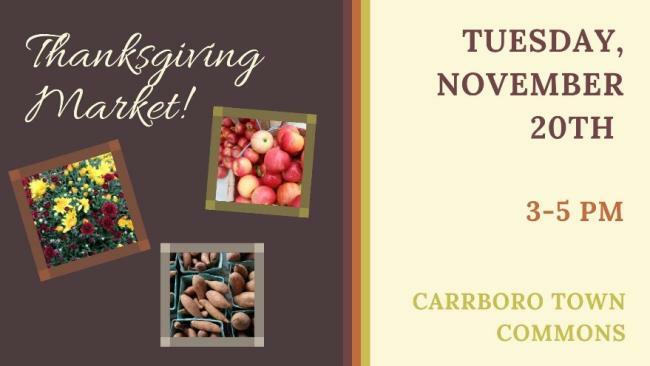 Carrboro Farmers’ Market Saturday winter hours, 9 a.m.-noon; Pre-Thanksgiving Market November 20, 3-5 p.m.
Eno River Farmers’ Market Event, Saturday winter hours, 10 a.m. - noon; Pre-Thanksgiving Market November 20, 3-5 p.m.
5. 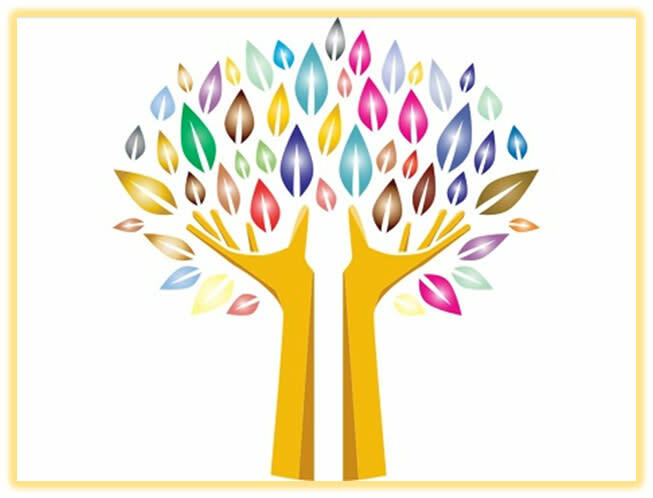 Giving Tuesday is a Global Giving Movement that encourages people to donate to official charities or for-profit business, school, religious or community groups committed to spearheading at least one registered charity. You can find a list of the officially registered Chapel Hill & Orange County charities here, or you can donate to your charity of choice! Use the #GivingTuesday hashtag on social and let us know how you’re getting involved! How are you getting involved, practicing gratitude and giving your all this month? Let us know in the comments below, and look for more ways to get involved at VisitChapelHill.org!